“What is an arabesque? How does it feel, where is it going, where has it come from, is it the end or the beginning? Explore the expression of the movement and relate those textures and dynamics in your dance. Explore the physics of the movement, the weight of the head, speed of the turn and spark of preparations." Teaching, I not only ask for proficient, strong technique but also texture-the fibers of movement and how it is woven together. 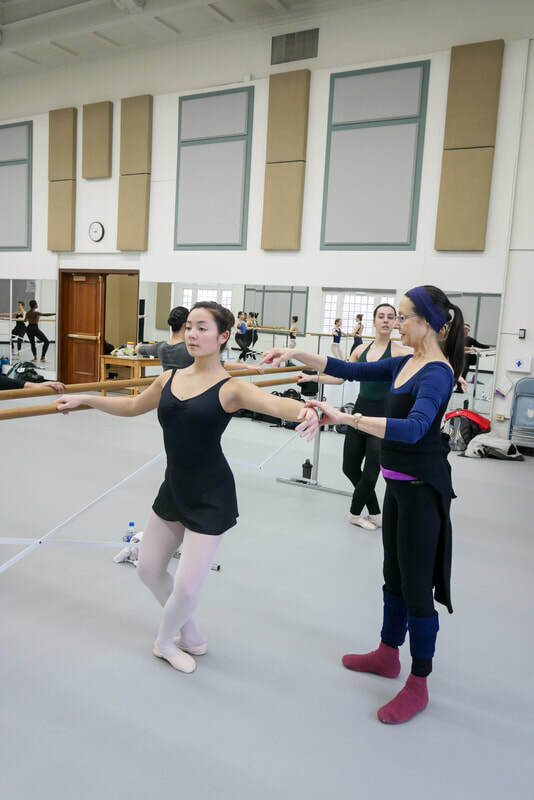 From the start of barre and the first plié, we work on quality, musical value, dynamics, "magical" port de bras and phrasing. The challenge continues in center practice as adagio, pirouette and allegro where technique and artistic sensibilities accelerate. My initial challenge for the dancer is to learn quickly, respond and perform, then return to reflect, refine and embody the dance. I emphasize clarity, movement efficiency and presence. I welcome each dancing individual and what they bring to our shared class time.